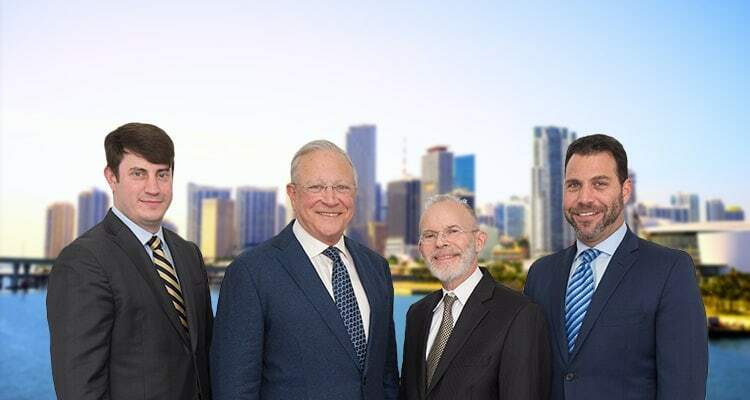 Contact Miami Accident Lawyer Gerson & Schwartz, P.A. Miami-Dade County is proud to be home to Port Miami, one of the largest cargo ports in the U.S. and passenger ports in the world. In 2016, 1,081 cargo ships docked at the port, carrying more than 8.7 million tonnage of cargo. The same year, 972 cruise ships docked at Port Miami, carrying more than 4.9 million passengers. This would not be possible without the efforts and dedication of more than 176,000 maritime and port workers. Unfortunately, as with any port in the U.S., accidents occur. Workers and visitors alike are at risk for incidents that may result in injuries or fatalities. If you were injured or lost a loved one in an incident at Port Miami, contact a Port Miami accident lawyer at Gerson & Schwartz P.A. at (866) 475-2905. We have decades of experience representing accident victims and their families, and are well-known for our cruise ship accident representation. Schedule a free consultation with us to learn about your rights and legal options. In relation to cruise ships, specifically, we see a large number of slip and falls and falling overboard accidents. You or a loved one may have been injured or developed a medical condition because of a dangerous shipboard activity or shore excursion, unsanitary conditions, contaminated food, violence by a crew member or passenger, or medical malpractice onboard. Whatever type of incident led to your injuries, whether you are a crew member or cruise ship passenger, do not hesitate to call an accident lawyer for Port Miami. We are here to investigate your situation and advise you of your legal rights. After you are injured on a cruise ship or at port, it is essential you speak with an attorney for numerous reasons. First, an attorney can review and analyze the situation to determine if you have the right to file a claim for compensation, and if so, how strong your claim is. Second, an attorney will determine liability for the accident. It is not enough to know which other person’s negligence, recklessness, or intentional misconduct caused you harm. You need to know whether a larger business is responsible for that individual’s conduct. Where you are injured and who employs the person at fault are key factors in determining liability. If the incident took place on the cruise ship and is the result of a cruise line employee’s behavior, then the cruise line may be liable. 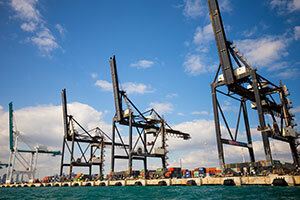 However, if you were injured on Port Miami property, then the port may be liable. To discuss the incident that led to your injuries or loss and determine which party may be liable, contact Gerson & Schwartz P.A. to speak with an accident attorney for Port Miami. If you were injured while docked at or working at Port Miami, or a relative lost their life in a Port Miami accident, do not hesitate to seek out legal advice. When your injury or loss is the result of another individual or business’s negligence, then a lawyer can represent you in pursuing compensation from the liable party through an insurance claim, personal injury lawsuit, or wrongful death lawsuit. Few things are worse than getting hurt or losing a loved one while working or on vacation. No one expects an accident to happen on a normal day and alter the course of their life forever. Unfortunately, accidents do happen and there is nothing to do but to protect yourself, fight for your rights, and move forward in life. Our team at Gerson & Schwartz P.A. are here to help. We are here to conduct an in-depth review of your circumstances and advise you of your rights. If you have a valid claim for compensation, then we will guide you through the insurance claims and legal processes. We will work with you and experts to thoroughly document your economic and non-economic injuries in order to pursue the maximum compensation possible. To learn more about how we can help you and your family, call our Miami-Dade County office at (305) 371-6000.